People often ask me where my ideas come from. Well, the truth is they come from all kinds of different places, and I thought it would be fun to tell you about some of these. Sometimes it seems as though ideas just pop into my head out of nowhere, but if I sit down and really think about it there is usually a little spark of inspiration that starts a story growing. Below are some of those sparks, and it’s the most exciting feeling in the world when inspiration strikes. I want to run as fast as I can to my computer and start writing! One spring day my husband Jon brought this stone goose home from an auction. He thought it would look nice sitting under a tree in our garden. The goose had such a surprised, startled look on its face that my daughter started wondering what had happened to it. 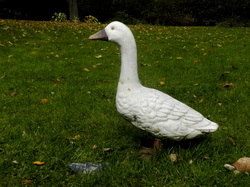 Maybe our goose was real, and if he was real, maybe someone had turned him to stone? Well, I decided that perhaps a witch had put a spell on him, which scared my daughter because she wasn’t the biggest fan of witches and she started to worry that this evil old woman might come marching right into our yard and take back our goose. So I told her that this witch was only a little girl, and she wasn’t evil at all, she was sad. Why was she sad, my daughter wanted to know and that was the start of Poppy Pendle. _I spent most of my vacations in Scotland when I was growing up and now that I have children of my own, we still go over there every summer. I was lucky enough to have a grandmother who owned a big old house on the moors, and I would skip across the heather in my Wellington boots, searching for faerie hills. It was then, and still is now, one of the most inspiring and magical places I know, and a lot of my stories are set in the highlands. _There is nothing more inspiring than reading a good book. 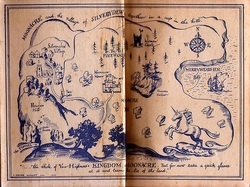 I can still remember reading about buckwheat cakes drenched with maple syrup in Farmer Boy by Laura Ingalls Wilder, or the vivid setting of a house built onto a castle in I Capture the Castle by Dodie Smith, or the magical world of Willie Wonka. And to this day I can still remember the feeling I had when I read The Little White Horse by Elisabeth Goudge for the first time. It made me want to write down my own stories and offer readers that same sense of wonder . 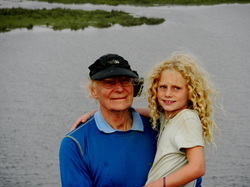 My father and my daughter. _I get a lot of ideas for my characters from the people around me. Having said that, I would like to state for the record that I was lucky enough to be born to the most wonderful parents in the world and they are nothing like Mr. and Mrs. Pendle! Although my father did inspire me to write a story about a rather eccentric, sweetie-loving wizard who built himself a windmill! One day, when I was seeing my daughter off to kindergarten on the school bus I could see her pale little face peering at me through the window, her crazy blond curls springing out in all directions, and I suddenly knew that is exactly what Poppy’s best friend Charlie would look like. Of course my daughter is tall and Charlie is tiny, but Juliette’s face in the window was the inspiration I needed for Charlie to start evolving. 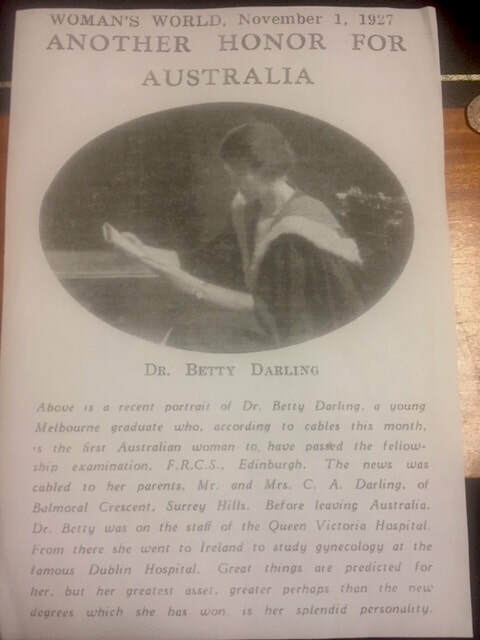 My grandmother was one of Australia's first female surgeons and the inspiration for Mabel Ratcliff in The Marvelous Magic of Miss Mabel! 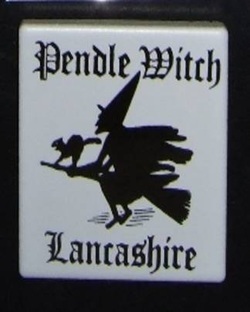 My grandmother lived in Lancashire, which is where the Pendle witches came from. The trials of the Pendle witches in 1612 are among the most famous witch trials in English history. 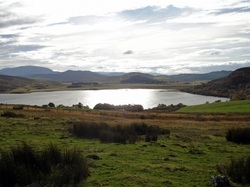 The twelve woman accused of witchcraft lived in the area around Pendle Hill in Lancashire. Potts Bottom isn't a real place but I modeled it on Clitheroe - a little Lancashire village rich in witch history! My house has a kitchen witch dangling from the ceiling for good luck and if you'd like your own Pendle witch you can buy one from Moonstruck gift shop.com. Sometimes we find ourselves in situations that are strange, funny or downright embarrassing. All of these can be the trigger for a good story. I got my first Saturday job when I was fifteen, working in a hairdresser's and it was full of strange, funny and embarrassing moments! Have you ever tried washing an almost completely bald man’s head? My first published story in Just Seventeen magazine was based on that job! A lot of it I made up, but the story was most definitely inspired by that job.